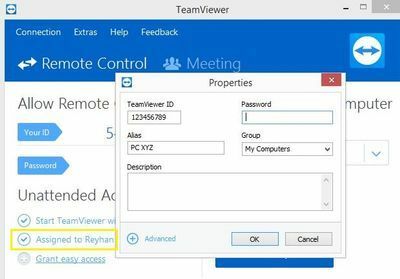 TeamViewer is used for remote control, desktop sharing, online meetings, web conferencing and file transfer between computers. TeamViewer is free for non-commercial use. It is pretty popular amongst Kali Users as they can use it to help each other and set up team rooms. However it seems many readers failed to install TeamViewer on Kali Linux 2018. This guide will show you how to install TeamViewer on Kali Linux 2018. Download latest Debian TeamViewer package from the official TeamViewer website. From this link click here for download or use the code below. You should download either 32-bit or 64-bit TeamViewer package based on your Kali Linux install. To run, you can do it CLI or Icon under Internet. It used to be a bigger issue previously, but since then TeamViewer released x64 supported version for Debian/Ubuntu Linux which works fine for Kali Linux as well.